A tool I have found to be very effective in my teaching practice is the use of Hyperdocs. Hyperdocs were developed by Lisa Highfill, Kelly Hilton, and Sarah Landis. 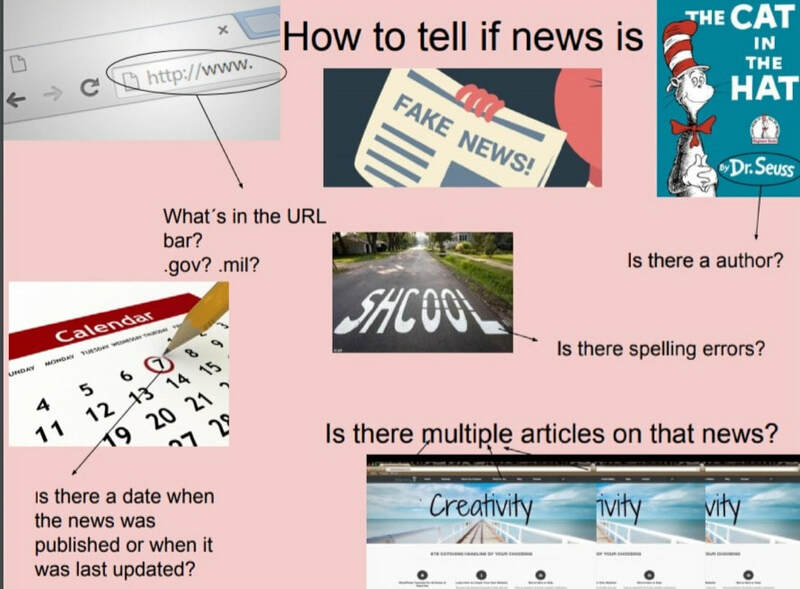 On my Reference Page you can find links to the hyperdoc website with lots of tips and resources. Hyperdocs are a great tool for creating lessons that incorporate 21st Century Skills such as communication, collaboration, creativity and critical thinking. To learn more about these important 21st century skills please go to my 21st Century Page. 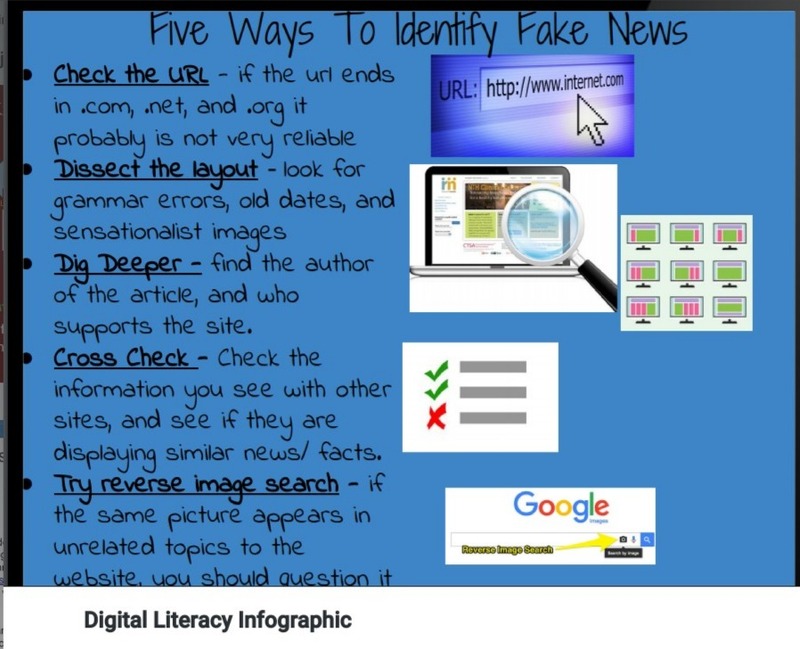 For my Digital Literacy Unit I created the Digital Literacy Hyperdoc found to the right. Within this hyperdoc you will find many small digital tasks for students to complete at their own page. The hyperdoc is designed in a "gameboard" fashion where students can complete tasks at their own pace and in any order. Students complete a final task at the end of the unit that can be seen in more detail on my Assessment page. 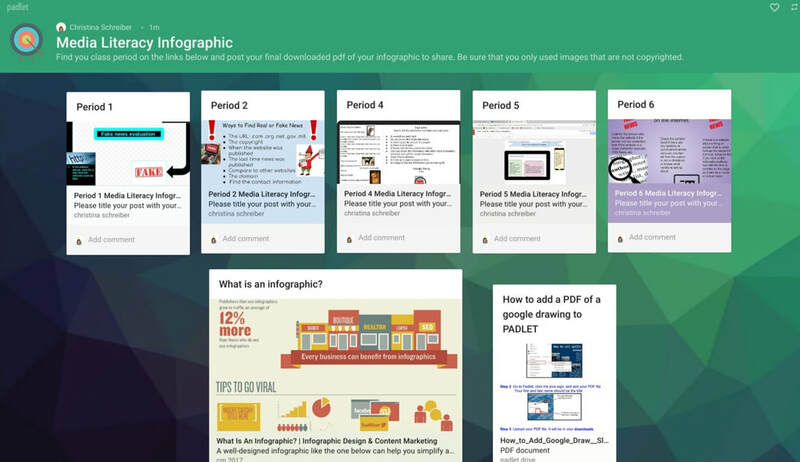 The hyperdoc can easily be reused in your own classroom. Simple click the link below or the image on the right. Then click "file" and "make a copy" to create a copy of your own hyperdoc. Some of the links to edpuzzle, flipgrid and padlet will need to be changed to your own links. If you want to learn more about these tools please see my How To's Page. 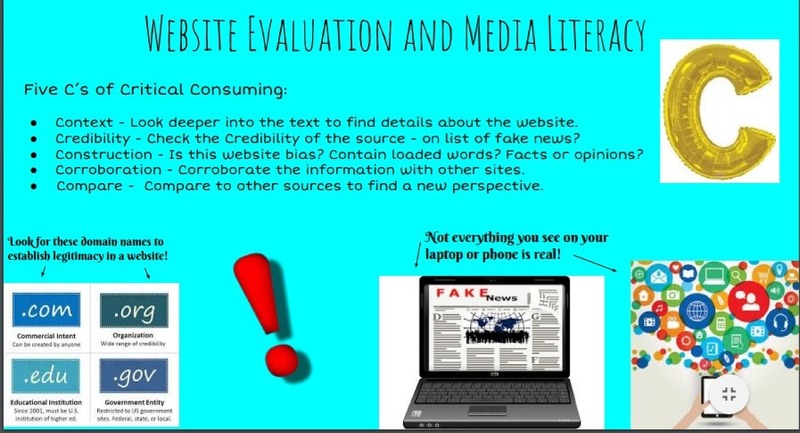 At the end of the digital literacy hyperdoc, students were asked to create an infographic for younger students about how to evaluate websites for credibility. Students used a blank Google Drawing for their infographic and submitted their work to me through Google Classroom. In addition to students submitting their work to me through Google Classroom, I wanted to create a more authentic audience for them. I had students post their final infographic to Padlet so that other members of the class (and my other classes) could view their final project. I found through surveys that students really enjoyed being able to see what their friends in other classes had created and also to get some ideas and inspiration. I also saw the quality of student work increase when they had a peer audience that they would be publishing to.